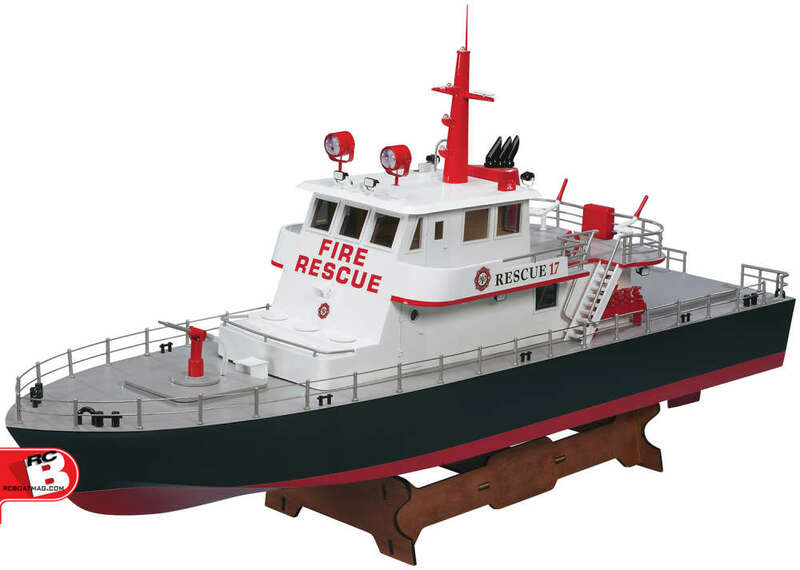 The Rescue 17 is the only large-scale fireboat RTR available — and it can be ready for launch just moments after it leaves the box. It’s also the only fireboat that offers so many “realizing” details: lights on-deck and in the cabin, a rotating, functioning water cannon, wire rope railings and more. Owners will have plenty of time to enjoy them, too, because every real-life detail and all the good looks are already built-in. Add batteries and a charger, and it’s ready for duty and instant admiration. Bright, 17-piece LED lighting system runs on power from main battery — no additional pack required.